Shortly after Joe Biden boarded a recent flight from Washington to New York, a string of passengers began stopping at his seat in coach to deliver some version of the same message: Run, Joe, run. "We're with you," one said, according to a Democratic strategist who happened to be on the plane and witnessed the scene. "You've got to do this," said another. Biden has eyed the presidency for more than 30 years, waging a failed campaign for the party nomination in 1988 and another 2008, before Obama named him his running mate. He passed on running again in 2016 as he dealt with his son Beau's battle with brain cancer. The younger Biden died in March 2015, as the Democratic campaign was taking shape. 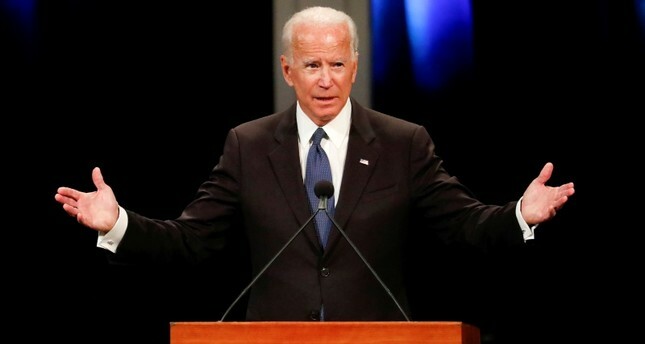 All that aside, Margolis, who is in touch with Biden's team, said,"I'm pretty confident that he and his closest advisers legitimately believe he has a real shot at this."